Now is the time to sign the petition calling for Colorado Department of Transportation officials to avoid scarring the rural character of La Plata County with a US Highway 550 road connection at the Bridge to Nowhere. When public officials refuse to admit responsibility and contrition for the squandering of millions on a project that’s justified through over-inflated engineering data, they are corrupt. When public officials plan on decimating the landscape and rural character of our community when other more reasonable options exist, they are corrupt. 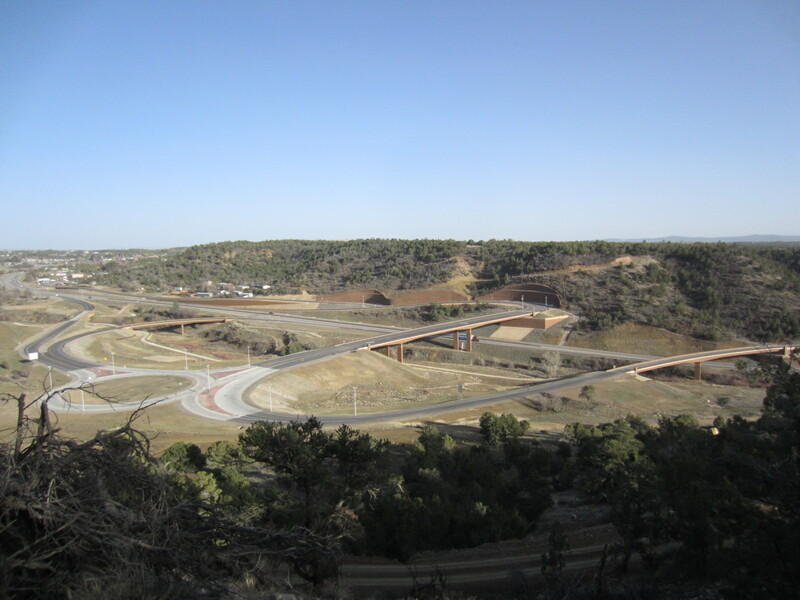 The visual impacts that connecting US Highway 550 to the Bridge to Nowhere would have are staggering yet completely absent from any wording in the Colorado Department of Transportation's first so-called Environmental Impact Statement. Corruption must be met with resistance and justice. We can resist by advocating for what’s right. I’m not sure how justice should be served. The Bridge to Nowhere has become the centerpiece of a regional dumb-growth strategy. Its justification was based on over-inflated demographic and traffic growth projections that were calculated with convoluted, arbitrary, illogical and inexplicable mathematical formulas. The Bridge to Nowhere was preemptively constructed without a necessary easement in place before hand. 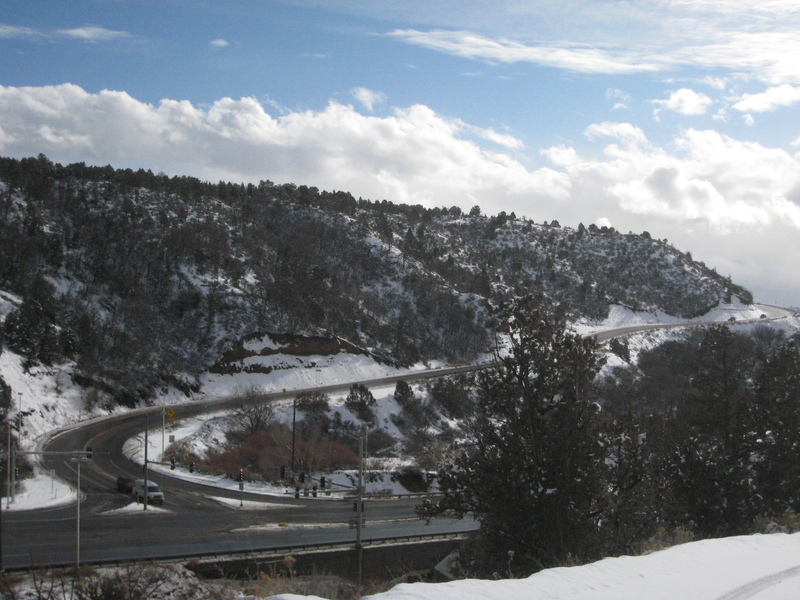 After construction was started without the easement needed to access the Bridge to Nowhere, the CDOT justified the bridge for having “independent utility” outside of its original intention of connecting US Highway 550 to US Highway 160. It is currently only utilized by those on the south side of US 160 who have been forced to, after CDOT put a guardrail barrier in the middle of US 160, and those doing u-turns. This project has shown us how the sled was put before the dogs, and planning was skipped altogether while CDOT mushed away with our tax dollars! How does CDOT continue to pretend it was a success while refusing to admit to their obvious mistakes in planning this project? Their straight-faced public relations cheerleading is a joke, right? I wish it was only a joke, but it’s not. Please rethink the long-term environmental consequences of these lapses in planning and what the excavation of more than 30 million tons of dirt, rock and vegetation from the end of Florida Mesa would look like on this rural landscape. Even more, please give the modifications of the existing alignment on Farmington Hill a chance in the future of connecting US 550 to US 160. Sign the petition to hold CDOT officials accountable for this fleecing of taxpayers HERE. Point well made but it is there and the most logical direct route to a 550 connection is CDOTs original plan. Let’s get over it and get it done. As far as road projects go…it is nicely done and will serve the community well long into the future. A logical route would not include the removal of 30 million + tons of dirt, the removal of a mesa top, the etching of solar-deficient road in a man-made canyon and the slew of environmental view-shed disturbances that the road would create. It’s slated to be a gargantuan eyesore on the rural landscape. What exists was done effectively, but without regard for long-term planning or respect for the landscape as a place. The mass altering of topographical features in the name of traffic-flow efficiency has got to be confronted with resistance. As for its ability to serve the community long into the future, the jury is still out. The current twelve to twenty cars a day is a minute demographic of our community. It will be a lot more useful with a Wilson Gulch extension to the hospital.